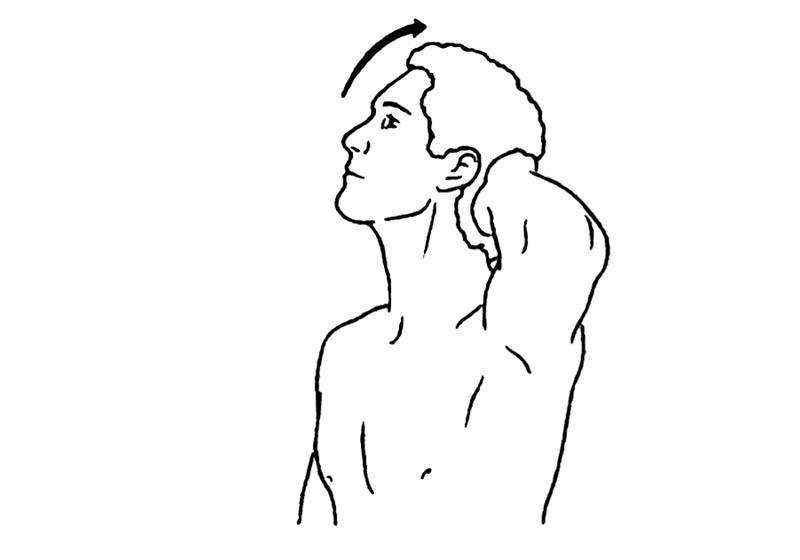 Facing forward, fingertips on back of head, bend head backward. Give light resistance. Hold for a 5-10 count.